obp Motorsport Pro-Race range of pedal boxes are proving to be very popular with race teams world wide. These pedal boxes represent a major step forward in car control, giving the driver better feel, greater dexterity and the most important bit a Quicker Lap Times. Please Look out For Sub Standard Copies of the obp Motorsport Pedal Boxes. The PRO-RACE range is lightweight, flexible and ergonomically efficient. All 3 pedals pivot on oil impregnated bushes, giving an incredible smooth motion with very little maintenance. Modifications have been made to suit our Dual Signal Potentiometer. This is perfect if you have changed your set up from a cable accelerator to a Drive by Wire unit. The Dual Signal Potentiometer is perfect for aftermarket ECUs as well as standard manufacturers ECUs. Light weight accelerator linkage included. Will accept single or twin cables. 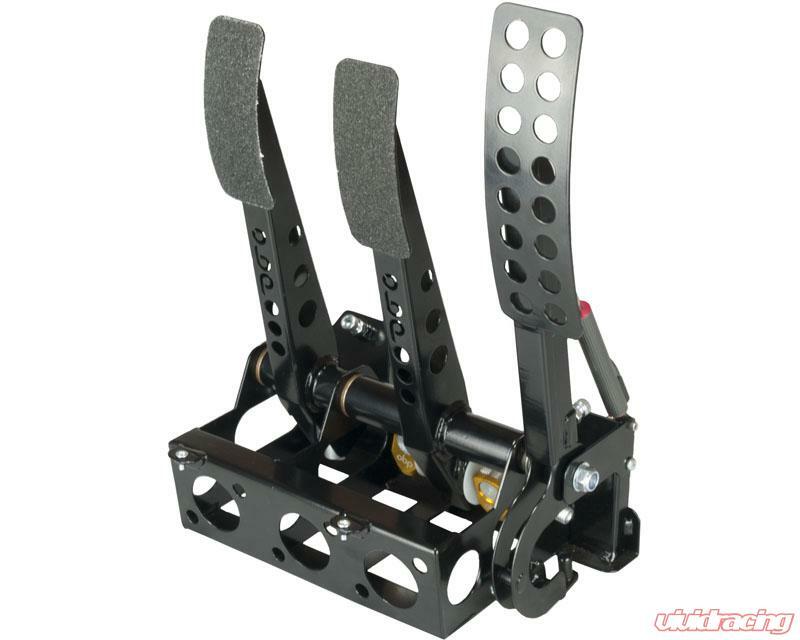 Adjustable spring loaded accelerator pedal. Allowing the pedal to be positioned exactly to your requirements. Balance bar giving you total control over the front to rear braking. Adjustable clutch pedal stop, prevents clutch over-stroking. Approx Dimensions: Width 245 mm, Pedal Height 320mm, Box Depth 140mm, Depth Including Master Cylinders 250mm.